There are a few new products launching for Easter, I accept it is early, but I feel obliged to try them out for the sake of the blog. 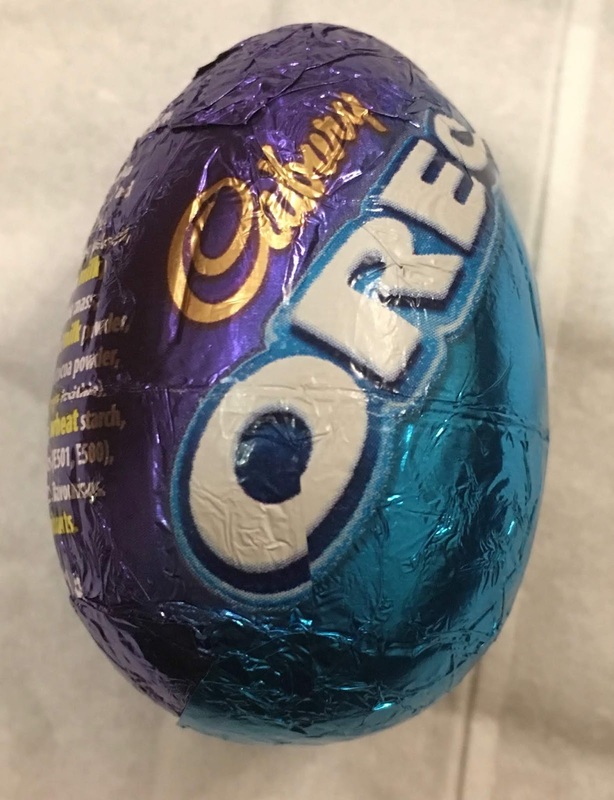 So our first chocolate egg of the year to be reviewed will be this new Cadbury Oreo Egg. It combines Oreos (one of my favourite types of biscuit) with chocolate and throws in a sprinkling of Easter, so it all sounds good to me. 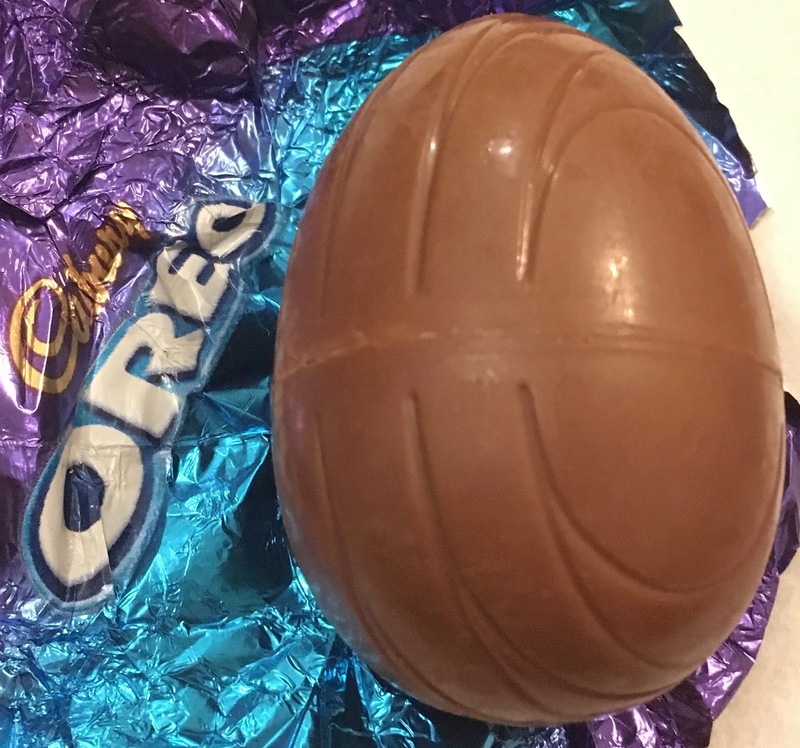 The egg looks very much like a Cadbury Creme Egg once the wrapper is off, but the seam in the chocolate is horizontal on the Cadbury Oreo Egg and that is usually vertical on the Creme Eggs. I will have to buy some Creme Eggs this year, just to check, and to of course hunt the elusive white eggs. I split the egg in half and found that some of the fondant filling was in the top and some in the bottom, it is a firmer texture and doesn’t seem to have moved since it was placed in the bottom of each half. I was pleased to see the chocolate was fairly thick, and I did like the filling itself. 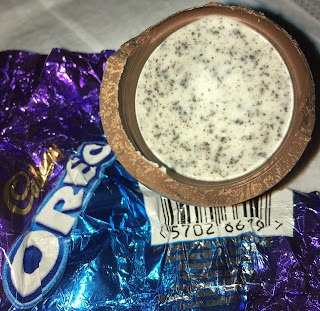 The flavour was quite creamy and had hints of vanilla, the Oreo bits in it gave it a lovely crispy texture that worked for me, but I do like different combinations of textures. Biscuit and chocolate do go well together. I think this is a nice and different addition to the range of Cadbury Eggs, and I would be buying this Cadbury Oreo Egg over many of the variants, the Creme Egg however will always have a special place in my heart.